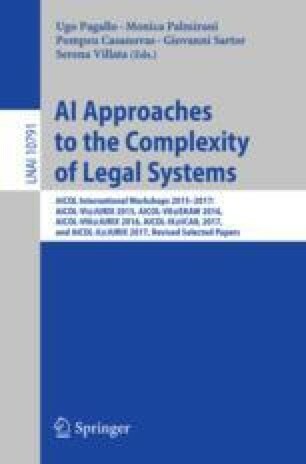 This study aims to analyze and evaluate the natural language arguments present in legal documents. The research is divided into three modules or stages: an Argument Element Identifier Module identifying argumentative and non-argumentative sentences in legal texts; an Argument Builder Module handling clustering of argument’s components; and an Argument Structurer Module distinguishing argument’s components (premises and conclusion). The corpus selected for this research was the set of Case-Laws issued by the European Court of Human Rights (ECHR) annotated by Mochales-Palau and Moens . The preliminary results of the Argument Element Identifier Module are presented, including its main features. The performance of two machine learning algorithms (Support Vector Machine Algorithm and Random Forest Algorithm) is also measured. The current work is funded by EMMA-WEST in the framework of the EU Erasmus Mundus Action 2.